Note: After posting this writeup, the folks at Hill Top Cafe informed me that it is technically located in Cherry Spring, just north of Fredericksburg. If any of you have been following along, you might recall that we had a big ole' 30th birthday celebraysh in April in Fredericksburg for my main squeeze Jon. 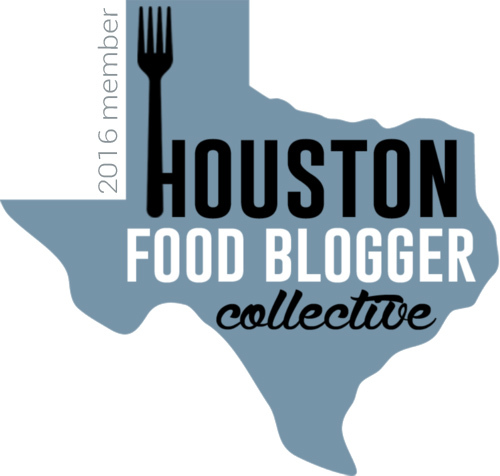 I work for a nonprofit, and one of our awesome volunteers had suggested I try Hill Top Cafe. 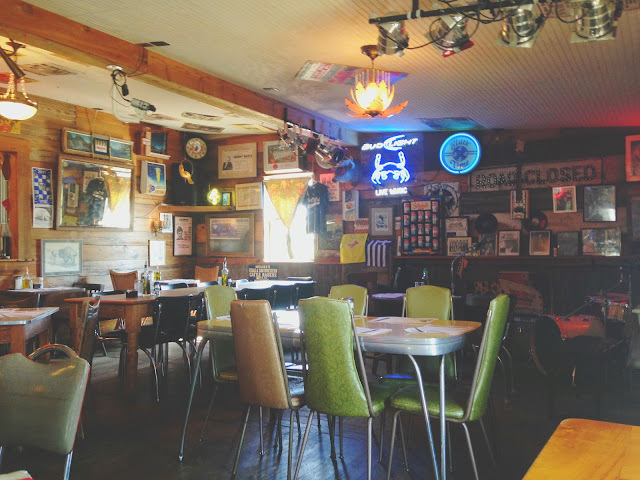 So on our last day there, Jon and I hopped in our little time machine and took a trip to an old historic Texas gas station, located just 10 miles outside the center of town, which has been converted into a quirky, comforting, down home restaurant! Being the early birds that we are, we got there before the place even opened, so we were the first ones there. 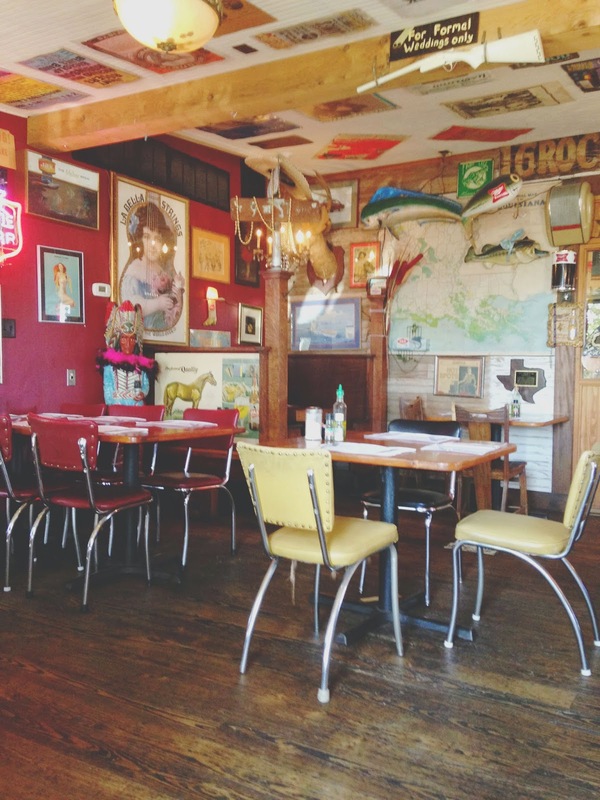 The inside of the restaurant is wall-to-wall adorned with eclectic knick knacks from various decades. 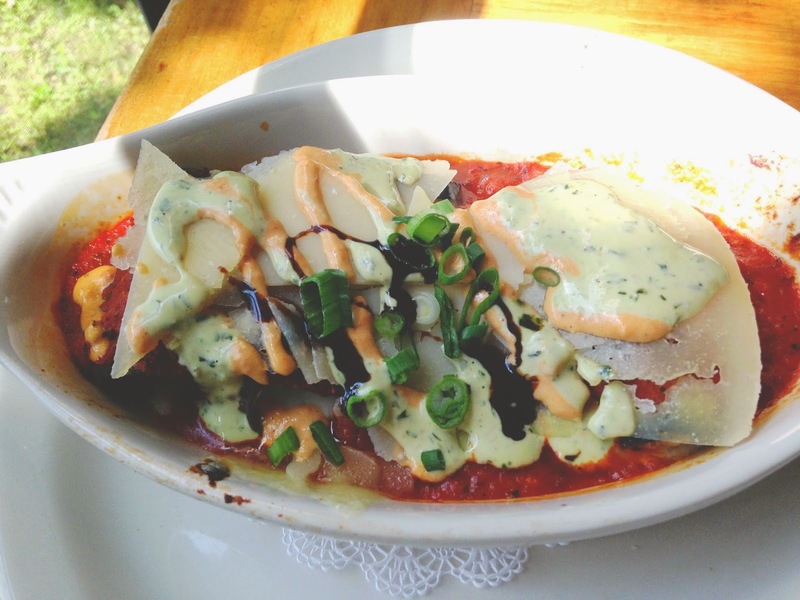 To start, Jon and I ordered an appetizer of eggplant, stuffed with different cheeses, and topped off with freshly shaved parmesan, marinara, creamy sauce, and balsamic vinegar. This was absolute h e a v e n .
Not gonna lie, my first bite from one of the edges wasn't completely warmed through. But after that bite, the whole thing was amazing. The rich, fluffy filling of the eggplant was beautifully contrasted with the tart marinara, savory parmesan, and tangy sauces drizzled atop. It was exceptionally delicious, and quite an intricate dish for such a laid back spot! For my main brunch entree, I ordered an omelette, which they happily catered to my vegetarian needs by adding fresh asparagus. 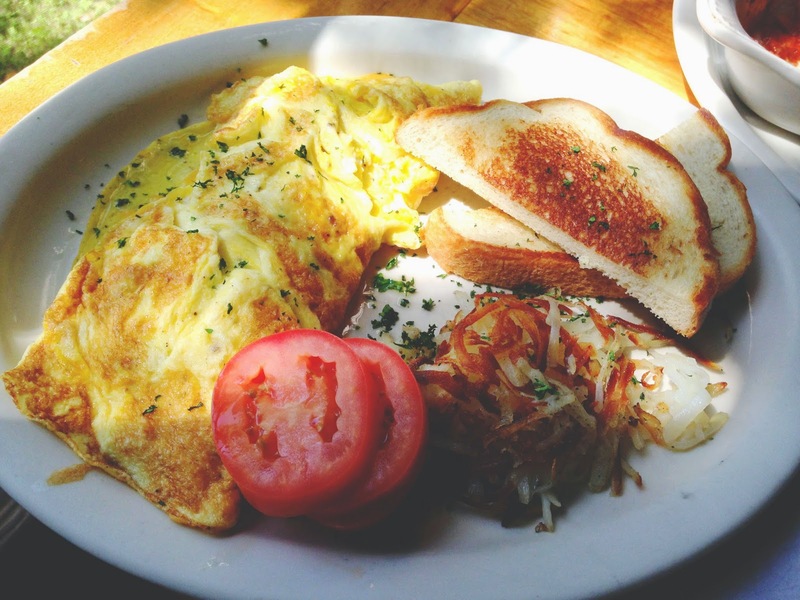 The omlette was pillowy, cooked perfectly (not runny, not overcooked), and was not lacking in asparagus. The accompanying toast and hashbrowns were your standard, yummy, homestyle brunch sides. By time us early birds were ready to hit the road and time travel back to 2015, the place was packed. 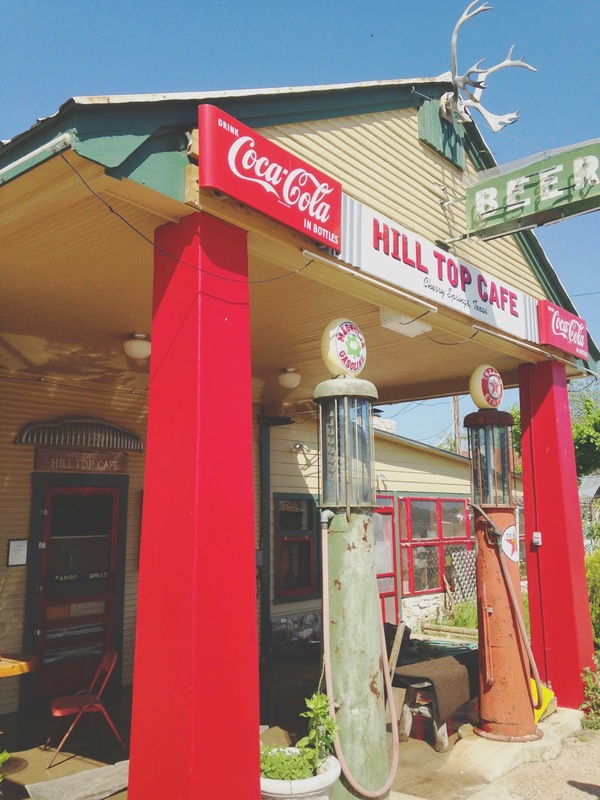 While it's definitely not a touristy spot, Hill Top Cafe certainly is not a secret. Go for a delicious, satisfying, relaxed brunch, or make your way there for dinner one night when there is live music playing. This personable, quirky, historic restaurant was one of the highlights of our weekend away, and I definitely recommend it if you're in Fredericksburg! And yes you read that right, the rifle in the top right corner of the picture below says "For Formal Weddings only."